Self-sabotage is a sad thing, yet I see many otherwise competent, caring salespeople defeating themselves by making serious, career-limiting mistakes that they are often unaware of! 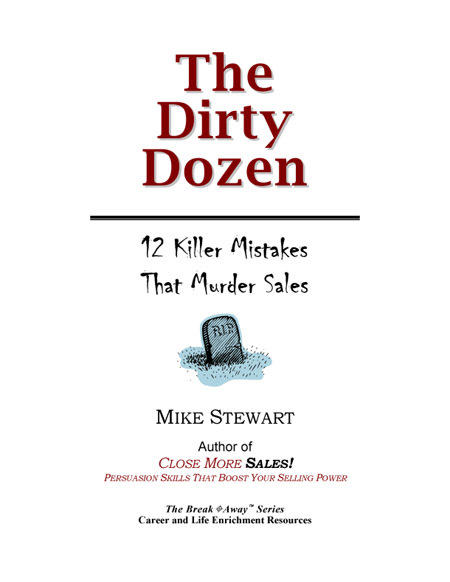 The Dirty Dozen identifies, describes and offers solutions to twelve of the most common and costly mistakes I see constantly in my sales consulting and training business – plus one. The first twelve seem so obvious its ridiculous, which is why they are so deadly! Most victims just don’t believe they are making such obvious errors. The 13th mistake discussed here, as a little something extra, is without a doubt the single biggest cause of inadequate sales performance I see anywhere. I see it all the time, and, unfortunately, I see it getting worse and worse in sales organizations of all sizes, and in all industries. 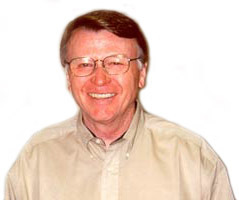 All 13 of these mistakes are being made day in and day out by veteran sales professionals as well as rank beginners everywhere. However, most don't recognize that they are making these mistakes. As they read "The Dirty Dozen" and realize where they may be falling short, the brief commentaries on solutions will enable them to make course corrections on call after call, day after day and sell more new business. Correct these deadly mistakes and Close More Sales!